What truly differentiates doctors of chiropractic from any other healthcare professionals is the fact that chiropractors are the only professionals who are trained to diagnose and treat what are called spinal subluxations. The word “subluxation” comes from the Latin words meaning “somewhat or slight” (sub) and “to dislocate” (luxate). So the term “vertebral subluxation” literally means a slight dislocation or misalignment of the bones in the spine. Bone Component – where the vertebra is either out of position, not moving properly, or are undergoing degeneration. This frequently leads to a narrowing of the spaces between the bones through which the nerves pass; often resulting in irritation or impingement of the nerve itself. Nerve Component – is the disruption of the normal flow of energy along the nerve fibers, causing the messages traveling along the nerves to become distorted. The result is that all of the tissues that are fed by those nerves receive distorted signals from the brain and, consequently, are not able to function normally. Over time, this can lead to a whole host of conditions, such as peptic ulcers, constipation and other organ system dysfunction. Muscular Component – since nerves control the muscles that help hold the vertebrae in place, muscles have to be considered to be an integral part of the vertebral subluxation complex. In fact, muscles both affect, and are affected by the VSC. A subluxation can irritate a nerve, the irritated nerve can cause a muscle to spasm, the spasmed muscle pulls the attached vertebrae further out of place, which then further irritates the nerve and you have a vicious cycle. It is no wonder that very few subluxations just go away by themselves. Soft Tissue Component – the VSC will also affect the surrounding tendons, ligaments, blood supply, and other tissues as the misaligned vertebrae tug and squeeze the connective tissue with tremendous force. Over time, the soft tissues can become stretched out or scarred, leaving the spine with either a permanent instability or restriction. Chemical Component – is the change in the chemistry of the body due to the VSC. Most often, the chemical changes, such as the release of a class of chemicals called “kinins,” are pro-inflammatory; meaning that they increase inflammation in the affected area. 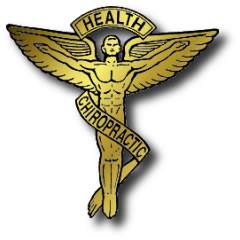 At Ledford Chiropractic we strive to restore and maintain optimum health. Are you dealing with headaches, sciatica, migraines, arthritis, TMJ, numbness, chronic pain? Have you had an accident? Please contact us and learn how chiropractic care can help restore your health. You are never too young, or never to old to enjoy good health. Have you had an accident? Please contact us and learn how chiropractic care can help restore your health. You are never too young, or never to old to enjoy good health. Have you had an accident? Please contact us and learn how chiropractic care can help restore your health. You are never too young, or never to old to enjoy good health. Have you had an accident? Please contact us and learn how chiropractic care can help restore your health.